We are here to make your stay the most memorable. Located in the center full of history of Florence and only 2 minutes of station Santa Maria Novella, Hotel Nella is an ideal place for people that wish live in a clean and quiet place. a short distance from the Central Station Santa Maria Novella and Piazza San Lorenzo, which is the Basilica of San Lorenzo and the historical Mercato Centrale. We are also near the famous Palazzo Della Signoria, the popular Piazza Della Repubblica, the Duomo di Santa Maria del Fiore, the Campanile Giotto, the Battistero and all other most important Florence's museums and monuments. Our hotel offers comfortable rooms, is easily reached by car and can provide parking facilities. 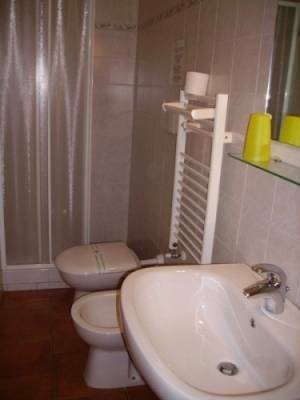 We offer single, double or triple rooms, all of which have private bathrooms and air conditioning. 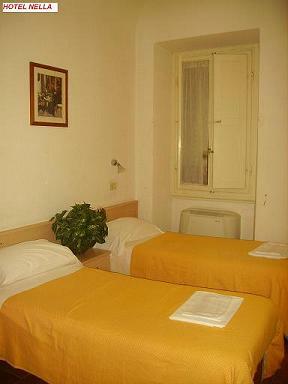 Hotel Nella is the ideal solution for couples or small groups!! Budget family management Hotel (we provide museums booking and guided excursions. For your dinner we have a little family restaurant near our hotel and the price, for our guest, is very, but very cheap. You can eat a Tuscany food and delicious cakes. After check- in, you get a set of keys and you are free to move without schedule. We have only for our guest a garage near the hotel. The price is 21. 00 Euro every 24 hours. 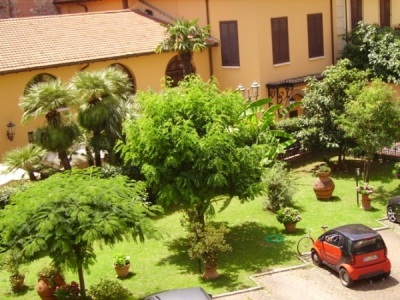 If you decide to visit Florence, you have to consider staying with us at Hotel Nella. You will feel the charm of our friendly house and observe that our hotel is the perfect place to find new friends and enjoy the time together. Come and stay with us, and enjoy this beautiful city! 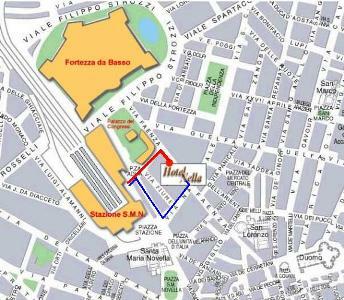 WE are 150 m from the railway train station and we close 50m from Piazza San Lorenzo, which is the Basilica di San Lorenzo and the historical Mercato Centrale. - If you do not give us 72 hours notice (3 days max 1 day before arrival) of your 'no show' by e-mail / by fax, we will unfortunately have to debit your card. The amount charged will be your first night's accommodation. From the railway station ( santa Maria Novella ) go to the left exit and cross the traffic light and then turn right and go ahead till the block where McDonald is located and the turn left and go ahead till the second street turing to left where the hotel is located ( via Faenza, 69 - blu number- in Florence there is also red numbers we are at 2° floor ). If you have a car it can be parked in a nearby garage. Everyone is free to explore and discover the architectural and artistic beauties of Florence. The owners of the Hotel will be at your disposal for necessary informations and to advise you on the best way to insure a pleasant stay enriched by wonderful memories. The proximity to the city center convenient public transportation allows you rapid connection to all of Florence and the surrounding environs of Tuscany. A1 take exit Firenze Certosa if you arrive from Roma then same way as above. From highway A11 reach the end of it and then follow the signs to reach the main railway station. We are 5 minutes walking distance from the main railway station (Santa Maria Novella); Via Faenza is just in the corner of the railway station.